A tray is not only an optimal transport packaging, but above all serves the reliable protection of goods during transport. 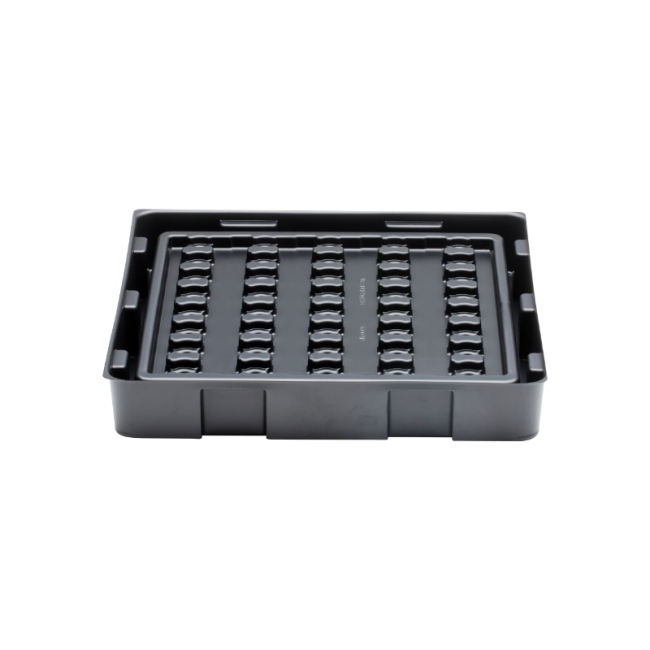 In addition, the plastic tray, as well as other deep-drawn parts, facilitates the ordering of the goods and thus also the counting - for example in the case of an inventory. In addition to plastic trays, our portfolio also includes other types such as transparent packaging , which we produce according to your individual requirements. These include sealed blisters and blister covers, sliding blisters and double blister. We help you solve your packaging problem.